Although the glitter of fake flower decorations for Christmas is enthralling, I miss real flowers and am already daydreaming about warmer weather! Julianne of Hound in Town arranged a beautiful bouquet of lilies for those souls that need a sprinkling of spring, too. 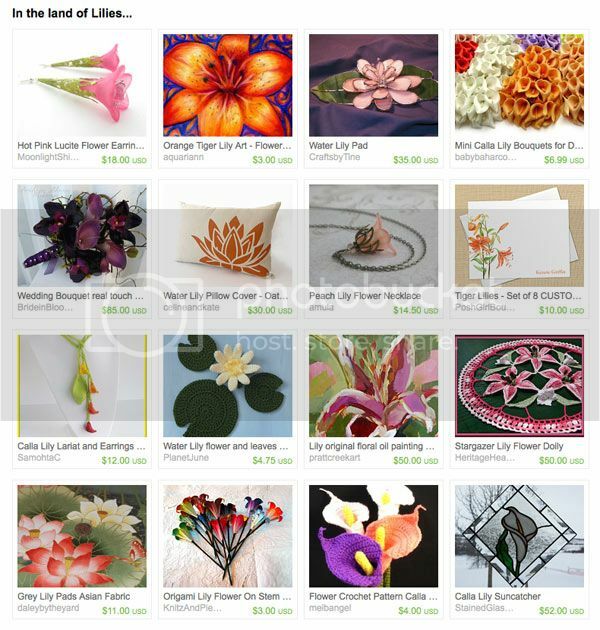 Flower gift ideas for women include stained glass water lily pad by Crafts By Tine, origami lily flower by Knitz and Pieces and my tiger lily flower magnet. Go Ahead and FEZ Me!